Voted Best of the Vineyard for the fourth year in a row, Christmas in Edgartown is a weekend festival you don’t want to miss! 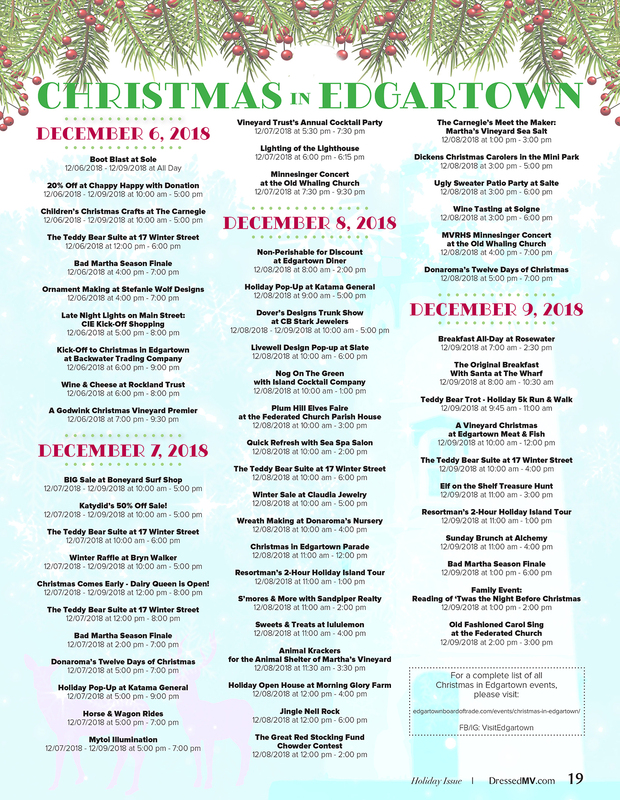 Every year through the various events, Christmas In Edgartown helps raise over $50,000 for island-wide charities and non-profits. Come be apart of the holiday magic!